At the Master Composter training day last Saturday, Eiles gave us a heads-up about something that's happening across most of Oxfordshire in the next few weeks. In a bid to increase the amount of food waste that is put out for food waste collections - rather than in the landfill bins - councils are sending free food waste caddy liners to residents. What the web page doesn't say, but Eiles explained, is that these free food waste caddy liners are going to be non-compostable plastic. There is a reason for this. The food waste collections are sent off to the anaerobic composting plant (which some of us have visited, I believe! ), and compostable bags tend to gum up the works and cause problems. Normal plastic bags can be separated from the waste on arrival. This is despite the fact that the council websites I've looked at this morning (and I haven't looked at them all!) tell you not to put plastic in the food waste bin, and actively encourage us to use compostable caddy bags! Apparently, paper bags and/or newspaper also cause an issue, in that they take longer to decompose than the food waste, but it's not as much of an issue as the compostable bags. I'm sure that's as clear as mud now, but the takeaway for us is that the free caddy liners are plastic, and shouldn't be used for waste that's going on the compost heap. In the event that our compost 'customers' ask us about this, Eiles has supplied us with the explanation! Happy holidays everyone! Now that the big day is almost upon us, here's a festive round-up of ways to avoid food waste and turkey fatigue this Christmas! Apparently, Scotland alone is likely to throw away more than 3.5 million mince pies, 240,000 Christmas puddings and the equivalent of over 100,000 turkeys this Christmas - worth a staggering £3 million! Hubbub have got a nice article on freezing your food bills, which encourages good use of the freezer to store those food items that aren't needed immediately. Tin & Thyme has a recipe for making your own cranberry sauce, and suggestions on how to freeze and then use any leftover cranberries, stock and nut roast. We're back to Hubbub for a Moroccan take on leftovers, with a recipe for Turkey cigars. There's no shortage of inspiration for using Christmas leftovers - the NHS has some (presumably healthy) Christmas leftover recipes, and the Guardian did a 10 of the best round-up a few years ago. There's always potted turkey from the Express, or a collection of equally tempting ideas from BBC Good Food. 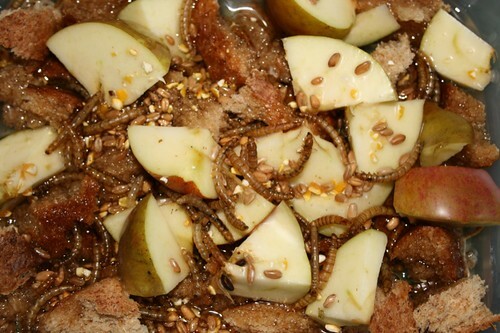 My personal go-tos are to turn leftover into a pie, or bird cake for my feathered friends. Got your own suggestions? Add them in the comments, or start a new thread in the Oxon MCs forum. 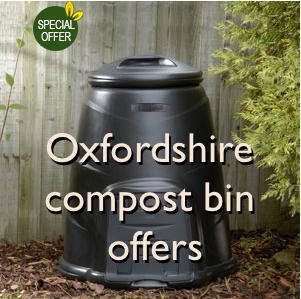 And don't forget - you can always feed the compost heap! There are lots of pumpkin-related activities at the moment, mainly aimed at getting people to recognise pumpkin innards as food! A pumpkin is for dinner, not just for Halloween.... The Oxford Pumpkin Festival is in full swing, with events that continue into November. This weekend (Sat 29th October) a Halloween special at Talking Shop, Sanford is offering a free fancy dress competition and homemade pumpkin soup and pumpkin pie alongside the usual produce market. At Donnington Doorstep Family Centre they're putting on a family fun day and cooking up surplus food, and St Clement’s Family Centre are running a Halloween Ceilidh with jigs and reels, chaotic dancing and pumpkin themed baking! Click through to the Good Food Oxford website for these and the rest of the pumpkin-related activities. There's also a lot of online activity aimed at reducing pumpkin food waste this year, with loads of great resources. Hubbub have a page on how to eat your pumpkin and join the #PumpkinRescue, with some video recipes and links to events further afield. They're also reminding us that pumpkin flesh can be frozen, and they're debunking frozen food myths at the same time. So if you don't have time to deal with your pumpkin flesh whilst you're engrossed in carving, pop it in a plastic bag (or reusable container) and let it chill out in the freezer until you do. Our friends at Cultivate Oxford have some lovely pumpkin recipes, including pumpkin carrot cake and squash pasties, which brings to mind a journey on the Hogwarts Express! 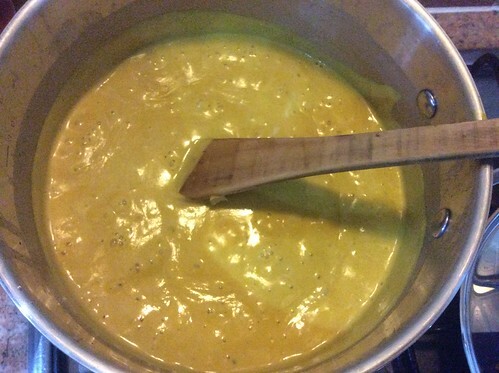 I was sent a somewhat unusual recipe involving a pumpkin and porridge and a slightly less odd one creating healthy-looking brownies, and I have a round-up of other pumpkin recipes at the end of my Halloween blog. When we're down to the rind, the natural instinct of a Master Composter is to throw the rest into the compost heap, but if you can hold off until November 6th then the OxGrow Pumpkin Day is going to turn them into bird feeders, whilst cooking up a feast, playing games and all their usual hijinks. I'm sure they'll all be composted, when the birds have finished with them. Happy Halloween everyone! 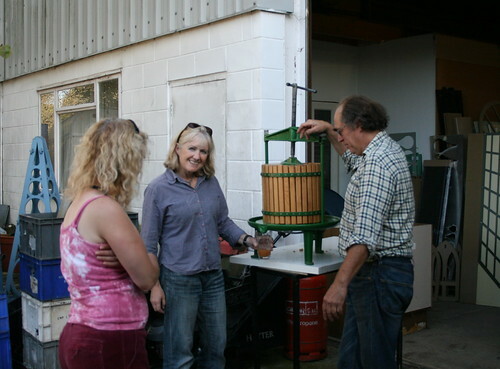 Enjoying freshly-pressed apple juice at a Master Composter event in 2009! After a wonderful day at the Garden Organic Volunteers Conference at Ryton, I'm going try and put together some blog posts that I think you might find interesting/useful. For those of you who don't visit the website very often, remember that you can sign up to have new posts delivered to you via email - just pop your address in the box on the right hand side. At this time of year our thoughts turn to how to deal with abundant apple harvests - many of which seem to be left to rot by owners of unappreciated trees. And apple pressing is a fun event that lots of local groups get involved with. Sometimes free, sometimes for a small free, you can take along your apples (or help deal with someone else's surplus!) and a bottle or two and end up with freshly-pressed juice to drink on the way home. October 8 2016, 10am-12 at North Kidlington school,Benmead Road, Kidlington. If you know of apple pressing events you want to add to the list then you can leave a comment on this post or email them to Emma/Eiles for inclusion in the post. And if you have forthcoming events you want to promote then let us know and we'll put those up as well! And finally... advanced warning if you're likely to find yourself in Tesco this autumn. Between 31st October and 13th November (let's hope that's not a Friday!) Tesco shoppers 'in the region' are going to be asked to vote for one of three shortlisted environmental projects. The winning project will get a £12,000 grant. The second and third place projects will receive £10,000 and £8,000 as part of the £12.5 million Tesco Bags of Help initiative, money raised from the 5p plastic bag levy. Who you vote for is up to you, of course (and I don't know what the other two projects are as yet), but the Earth Trust want the money to improve access to their community woodland, Neptune Wood for young families and the disabled, which sounds like a worth endeavour. 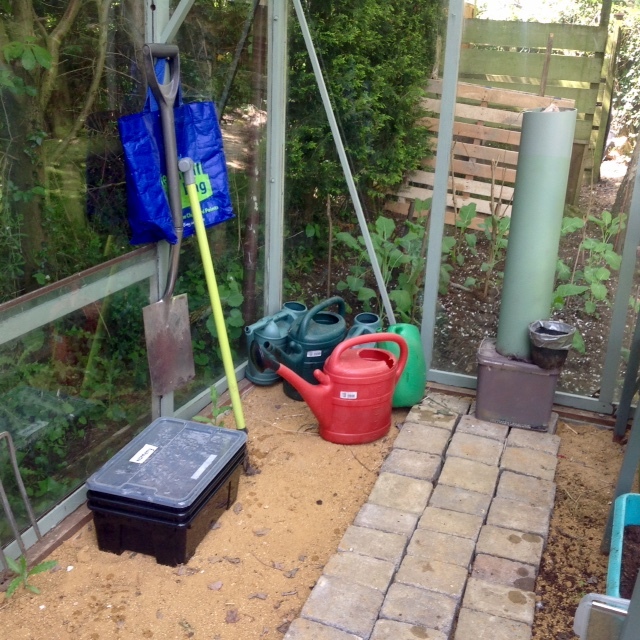 The Wormery is housed in the greenhouse which resides in permanent shade. The worms do not settle well in the enclosed shed. They seem to want to escape and l don't quite trust them entirely to the open air. Although it is placed on sand. Perhaps that's what keeps them in. A few leaves remain on top. All the compost has gone from this layer. .....and apparently has been transformed into fine textured grainy worm droppings. And separate them in twos and threes- it's easier without gloves and in fact l love the feel of them on my bare hands. They are not slimed in the least. Close up of casts. No soil or compost remains on close inspection. My worms must have been ready to exodus across the sand. This too is lovely to sift through with bare hands. There are eggs in here. And some of this years compost. Food waste in the form of bokashi waste mixed with soil has been filtered through well cut up compost and grass cuttings. This method of feeding waste food is fester proof. Worms seem to enjoy it. So leaves in one and raw compost in the other on top of the worms. Then place the leaves on top of the compost. .......like so. I realise that what I have done here sort of breaks the rules (waste reduction ethos etc) however l manage tojustify it. One, l am so fearful of killing my charges with noxious gases from rotting food. This way l reason that the rotting is simply done in advance .Two, if l go awayfor any length of time, and l do often, l can leave them unsupervised. Last thing a proud label needed. Now is a good time to clear out the shed, as you can recycle and old hand tools at your local Wyevale garden centre until 9th 20th June. If you want to you can then claim a 10% discount on new hand tools, but that's not compulsory! This is a good scheme because the donated tools are going to be reconditioned by prison inmates through the Tools Shed HM prisoner workshops, and will then be given free to schools and community groups, in a Starter Pack containing five to seven tools, at a Tool Giveaway Day – dates to be announced – at eight of Wyevale's centres in early 2017. None of those centres are local to Oxfordshire, but school and community groups can apply now if they would like to receive free tools. Visit the Wyevale website for more details. The volunteers are trained by Garden Organic (the leading organic growing charity), who also provide ongoing technical and administrative support. 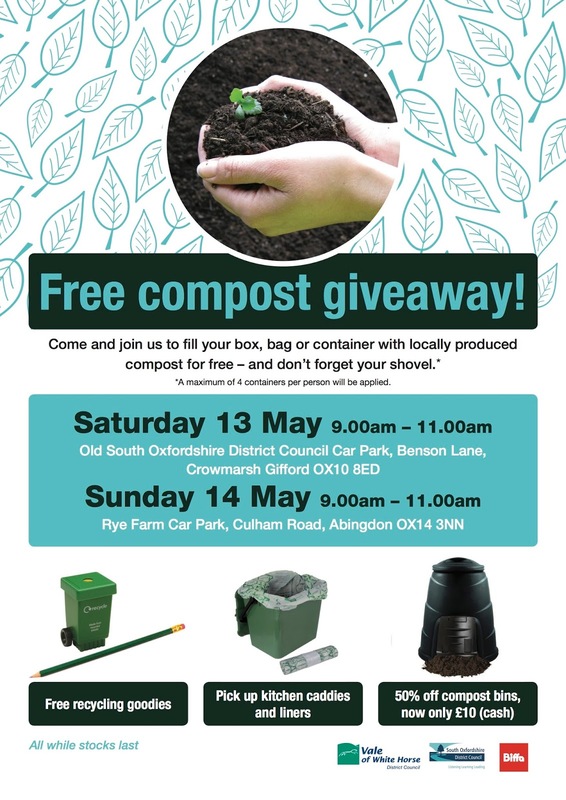 Recycle for Oxfordshire is an informal partnership that comprises Oxfordshire County Council, Oxford City Council, Cherwell District Council, Vale of White Horse District Council, West Oxfordshire District Council and South Oxfordshire District Council, who work together to improve waste management services in the county.